We’re getting down to the wire, and the GOP Veepstakes is as clear as John McCain’s latest economic policy, which he posited today at 3:00 PM EST, unless I missed a 6:00 PM news release defining a new fiscal direction that forged a new course from the reconsidered policies of his earlier economic policy statement. It’s possible. There are only so many hours in the day and I have other things to do. If I had a staff, they could keep track of this for me. John McCain started his Veep search in earnest with a Memorial Day barbecue, but it’s not clear at this point that he’s given any serious consideration to his short list since then. Granted, it’s July, and people take advantage of the quiet lull of summer to rest and reflect, and to cross some long-neglected things off their to-do list–hell, I’ve missed my share of blogs between my birthday, some months-avoided personal matters, and a grueling visit to the dentist that should have happened eight years ago. On the other hand, I’m not running for President, and if I were, I think picking my Veep might be one of those things on the aforementioned to-do list that I would want to address. But he’s the one who’s earned the grudging, exasperated, occasionally appalled, but ultimately resigned acceptance of his party, so let’s just keep my armchair quarterbacking out of it. That said, it’s been two weeks since we last assessed the GOP gallery of Vice Presidential hopefuls, and they’ve quite frankly gathered more moss than momentum. 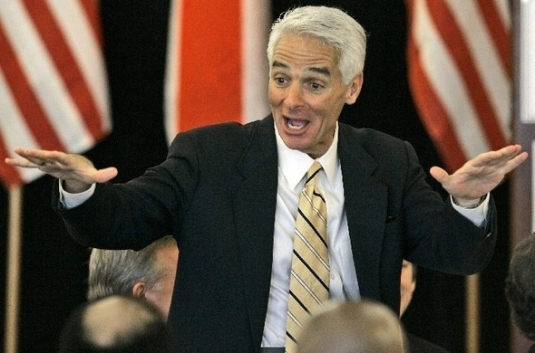 Our real short list for Senator McCain is still very short. Bobby Jindal – Governor, Louisiana: The only real reason for keeping Governor Jindal on the list is that I needed a legitimate short list, and Phil Gramm missed the cut. 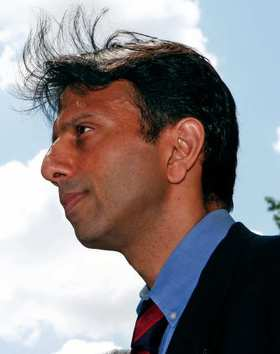 Not that he doesn’t bring his own unique bonafides to the table–this country could stand a good exorcism, no doubt about that–but Bobby Jindal’s “I Was A Teenage Exorcist” yarn would provide as many knee-slaps and head-scratches throughout the campaign season as most of Dan Quayle’s malapropisms and misstatements on his own road to the White House. Then again, Dan Quayle made it to the White House. And for anyone keeping their eye on state politics, it’s curious that Governor Jindal has lately put some lead in his veto pencil and taken aim at some 250 legislative earmarks in the latest Louisiana state budget, and “earmarks” are to John McCain’s campaign what “lockbox” was to Al Gore’s. The sagacity of Rush Limbaugh notwithstanding, this is a sillier choice with every passing week. With every application of the magnifying glass, it’s more and more apparent that Jindal doesn’t have much more control over his state than did Kathleen Blanco. If you’re looking for serious executive mojo, the Louisiana governor’s mansion ain’t the place.